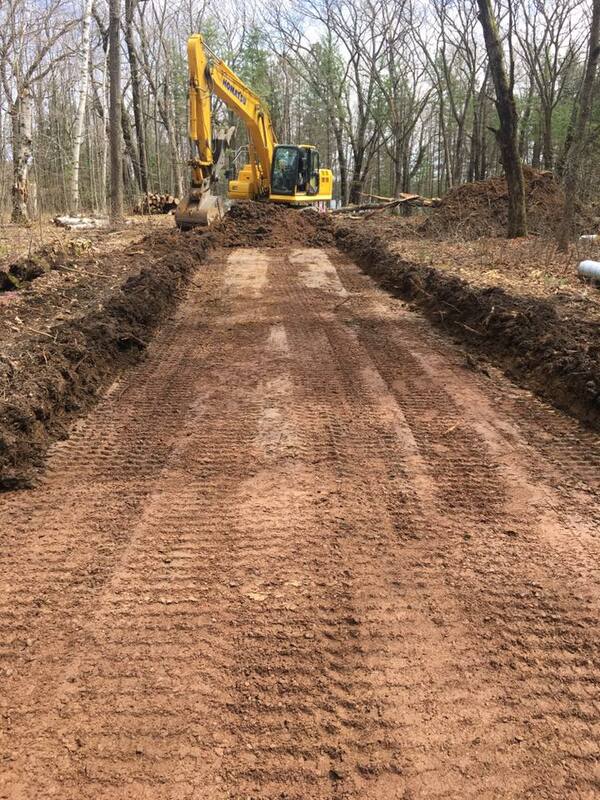 As a homeowner, developer, business owner or farmer you may decide to install a gravel road for a number of reasons, but one of the main reasons gravel roads are installed is because they are relatively inexpensive and require little maintenance and last a long time. Gravel roads are also utilized because if the soil below the road is moist and spongy, the gravel on the road will help to keep vehicles, and often farm equipment, from getting stuck in a road that was mad purely of dirt. One negative of gravel roads is the chance that pieces of gravel will dent or scratch the automobile, but with that said, gravel roads present a cheaper and more eco-friendly alternative to installing an asphalt or concrete road. Installing a gravel road is not difficult if a few simple steps are followed closely. The first step is to ensure that the road is completely clear of any debris and covered in dirt. This can be done by using a tractor to pull a flat blade across the area where the road is going to be built. Dragging the flat blade uproots the grass and helps to rid the area of small and medium-sized obstacles that may eventually create an uneven road. When dragging the blade it is important to follow the contour of the land instead of taking a direct path. This makes it less likely for the gravel road to wash away, while drivers will have an easier time navigating the road when it is complete. The next step is to choose the type of gravel that meets the needs of the road and the property it is being built on. There are a variety of different types of gravel that can be purchased for the roadway. Most types of gravel are a mix of gravel and sand and the size of the gravel piece vary depending on what the road builder is looking for. Common sizes used include 3/8-inch crushed, 5/8-inch crushed, 1 1/4 –inch base course crushed and 2-inch single pass crushed gavel. The best type of gravel for each person will vary and this should be discussed with the gravel provider, as they will have much expertise on the best fit for the roadway. Once a contractor has been contacted and the right gravel has been determined, the gravel must be delivered. Depending on the size of the road, the amount of gravel that is needed will vary. An online gravel estimator can be used to figure out how much gravel will be used based on the size of the road. This will also give a good estimate of how much the entire project will cost. The last step to installing a gravel road actually takes place once the gravel road has been installed. One of the most important rules of having a gravel road is maintaining the road once it is installed. Potholes can lead to vehicle damage so not letting the road get in poor shape before it is fixed is the key to maintaining and keeping the gravel road for a long time. Gravel roads are quality, inexpensive roads that can be built in a very short time in almost any location. Gravel roads provide a quality structure for transportation for any type of vehicle and require very little maintenance in order to keep in working order. Investing in a gravel road is a cost-effective way to improve any rural area.